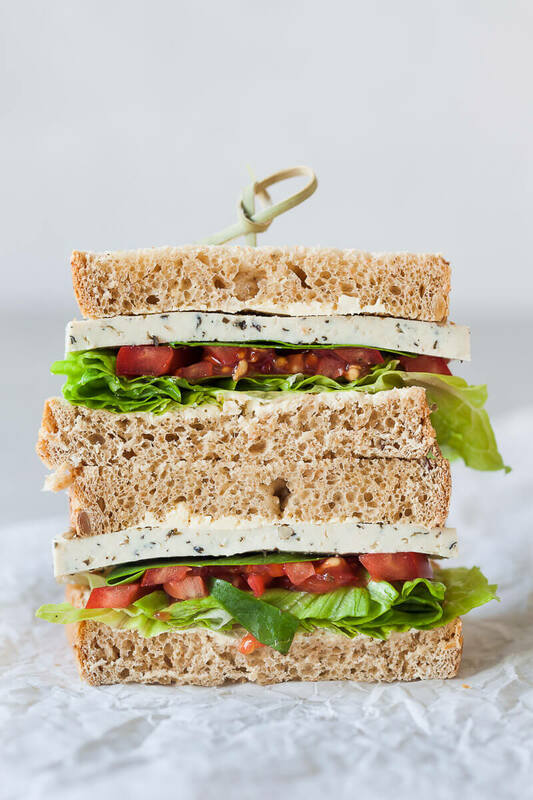 This Vegan Basil Tomato Tofu Sandwich is a quick and easy summer snack idea and a delicious Meatless Monday no-cook meal idea. Ready in 15 minutes! Wash and dry basil leaves, lettuce and tomato. Cut tomato in slices, if needed cut lettuce in smaller leaves. Cut tofu into 4 thin slices. Assemble your sandwich: spread plant-based butter or cream spread on wholewheat sandwich bread. Add basil leaves, lettuce, tofu and tomato slices. Season with a sprinkle of salt and pepper to taste. Top sandwich with bread.